A lot of people ask me everyday about different types of supplements on the market such as vitamins, proteins and pre-workouts. They want to know what type of creatine works well or what weight gainer will work best for them. 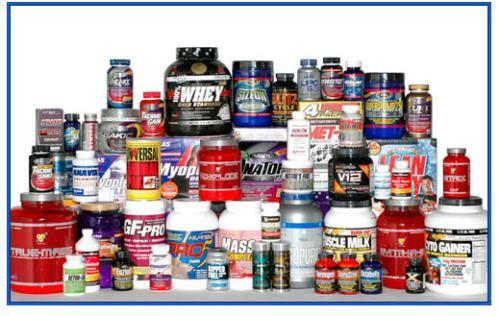 On this page I will be reviewing & discussing supplements I’ve both tried & come across since I started training. If I haven’t tried them I will research them in depth and point you in the right direction. 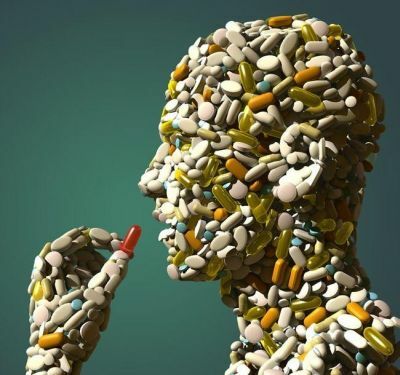 It seems that the supplement market is saturated with an abundance of products and for the newbie just starting out (even the regular gym goer) it can sometimes get quite confusing. If there’s a product out there you want me to look into, hit me up on the Contact Page. 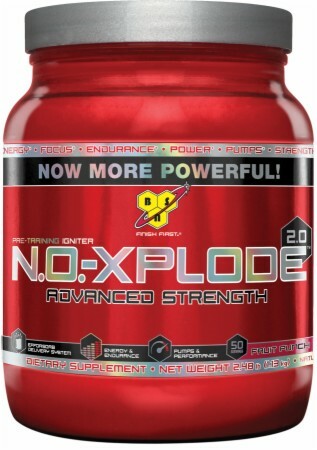 I received a sample of No Xplode 2.0 at the Body Power Expo and decided to review it as I rate BSN as a company. First let’s take a look at the back of the tub. Maltodextrin, Acidity Regulators (Citric Acid, Malic Acid), Amino Acids (L-Arginine (6%), Beta-Alanine (4.7%), L-Alanine (1.67%), L-Tyrosine (0.6%), L-Ornithine Hydrochloride (0.6%) L-Histidine (0.1%), Creatine Monohydrate (9.3%), Flavouring, Rasing Agent (Sodium Bicardonate), Minerals (Di-Calcium Phosphate), Potassium Citrate, Di-Potassium Phosphate, Di-Sodium Phosphate, Magesium Oxide, Magnesium Glycerophosphate, Potassium Glycerophosphate), Glucuronolactone (2.3%) Caffeine (1.16%), Colours (Vary), MCTs, Sweetners, (Sucralose, Acesulfame K), Quillaia Extract, Taurine (0.1%) Emulsifier (Glycerol Stearate), Vitamins (Folic Acid, Pyridoxine Hydrochlordie, Cyanocobalamin). RECOMMENDED USE TO ASSESS YOUR TOLERANCE: As a dietary supplement, begin by consuming 1 scoop of N.O.-XPLODE mixed with 5-6 oz of cold water. Vary the amount of water to achieve your desired flavor and sweetness level. Wait 30 minutes to access your tolerance. If appropriate, after 30 minutes, consume an additional 1 scoop mixed with 5-6 oz of cold water and access your tolerance again. RECOMMENDED USE ON TRAINING DAYS: Once your tolerance has been assessed, mix 1-3 scoops with 5-18 oz. of cold water and consume 30-45 minutes before training. Use approximately 5-6 oz of water per 1 scoop of powder. Again, vary the amount of water to achieve your desired flavor and sweetness level. To achieve maximum results, take on an empty stomach (i.e. at least 2 hours after a meal or 1 hour after drinking a protein shake). NON-TRAINING DAYS: Mix 1 scoop with 5-6 oz. of cold water and consume on an empty stomach. I feel this is a good product as it did give me a little edge. Note, I only tried the sample pack which is one serving. However, I feel to take full advantage of this as a pre-workout, the maximum 3 servings are needed which could lead to much better workouts in terms of extra focus, pumps and endurance. The thing is this though, taking 3 servings per workout, 5 days a week could soon become quite expensive. With only 50 servings a tub you could soon find holes in your pocket. I took the product about 45 minutes before my workout as instructed, warmed up with 15 minutes cardio and on to the weights. I didn’t feel amazing on the product as I did with Jack3d (before it became illegal) but then again, I didn’t have the maximum serving size so it’s hard to stay. Everyone reacts differently to these things so it’s best you try it for yourself before you say no. The taste was AMAZING, i’ll give it that. I had the watermelon flavour and mixed it with ice. I forgot I was drinking a pre-workout, that’s how good it tasted. A lot of the pre-workout drinks on the market now don’t taste pleasant at all. It mixed pretty well with no lumps or left over pieces at the bottom of the shaker which is always a plus. Until the price comes down though (which isn’t likely) I don’t plan on departing with my money anytime soon.